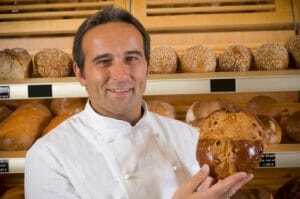 Get your Bakery Insurance in the easiest way possible. By clicking the green button you will be able to compare quotes from leading bakery insurance providers within minutes! You might think that getting insurance for your bakery is a piece of cake but sometimes that isn’t the case. In fact it’s a pretty tricky business unless you have an in depth knowledge of the types of cover available, which companies provide particular cover and where to get the best deals. Luckily, you have come to the right place for some expertise and guidance to allow you to make the most sensible decisions regarding insurance to protect your shop. Our panel of experts have a strong background in bakery insurance and can analyse your personal circumstances and advise you on the best cover options available. Buildings – If you own the shop, think about the cost to rebuild the property or replace fixtures and fittings, this could be financially crippling. Fire, flood and malicious damage are a few problems that could affect your property and result in huge financial loss to yourself if not insured. Equipment – Your equipment could get damaged or break and you may want to arrange cover for specific pieces of equipment that you use on a day to day basis. Stock – Your stock may be damaged or even stolen whilst in the shop. If there is an electrical fault your stock could be damaged if stored in fridges and freezers. This can be a very costly experience if you are not covered for this. Goods in Transit – Think about that five-tiered wedding cake that is being delivered. The possibilities of it being damaged whilst being delivered are quite high, so you would be well advised to cover this risk. Cash – You will inevitably have cash on the premises and should this be stolen, you will no doubt wish that you had selected this insurance option. Public Liability – If a customer trips and injures themselves in your shop you may be held liable to compensate them and cover any legal fees. Depending on the extent of the injuries, the cost implications could potentially bankrupt you if you don’t have the necessary insurance. Employers Liability – As well as customers, your employees may have an accident that results in personal injury and they may seek compensation for this.